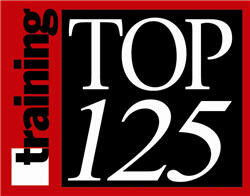 When Training Magazine placed KPMG LLP on its Top 125 list, it honored the firm for the high quality of the programs we provide. You can see that quality in innovative virtual engagement simulations and global training events, and in planning tools which help you choose from hundreds of courses and use them to pursue your personal career goals. And formal training is only a part of developing our people at KPMG. The firm's investment in year-round career development resources is one of the many reasons Business Week Magazine has ranked KPMG among the Top 50 Places to Launch a Career for three years running. Get a head start on the campus recruiting process. Career progression at KPMG is about taking the next step that is right for you. We appreciate that career progression means different things to different people — it may be that you want to become a partner by the time you are 30 or reach management level before taking a career break. Alternatively, you may want to work overseas, or be the client lead on a large project. For some close up and personal views of how great careers can be built at KPMG, take a look at the career journeys of some of our different people across our organization. As you think about the opportunity of specializing in a particular industry, you can learn more about KPMG’s approach by exploring our Employee Career Architecture. Even when you're not in a training course, the KPMG culture is brimming with resources to help you continue your learning. You'll find opportunities for developmental experiences including national and global rotations. You'll also find successful KPMG professionals willing to engage with you for one-on-one coaching and mentoring. And whatever your current role or area of interest, you're likely to find a vast array of information through KWorld, KPMG's unique and connective knowledge-sharing gateway.